Phang paints life around him, mostly of scenes in Ipoh. Preferring to paint on location, the artist says he takes about three hours to finish a piece. MALAYSIAN veteran painter Phang Chew is no stranger to watercolour lovers. 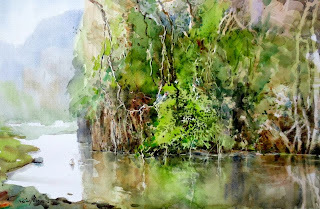 Phang is noted for his almost Chinese-brush technique when it comes to watercolour. Born in April 6, 1945, Phang stays in Ipoh. 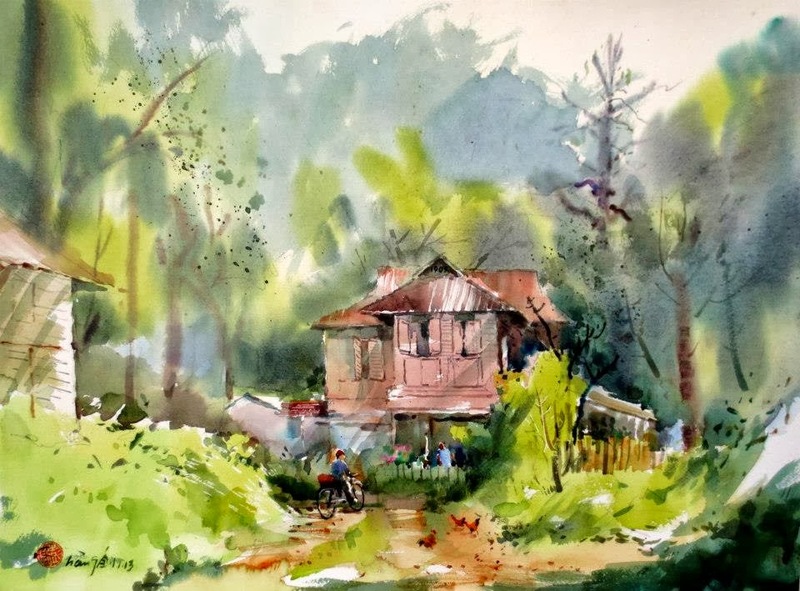 Having retired from his superbike business 12 years ago, he has been actively painting. 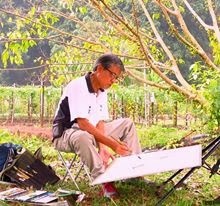 Enjoying his retirement, Pang is today a full-time painter and often accompanied by his wife during his plein aire sessions in and round Ipoh. Phang's works have been widely collected locally and abroad and has taken part in numerous exhibitions, both as a group and solo.